So I'm aware that we're well into January by now, but alas, I was traveling and knew that my New Years Resolutions would be on the back burner until I was settled again in Copenhagen. 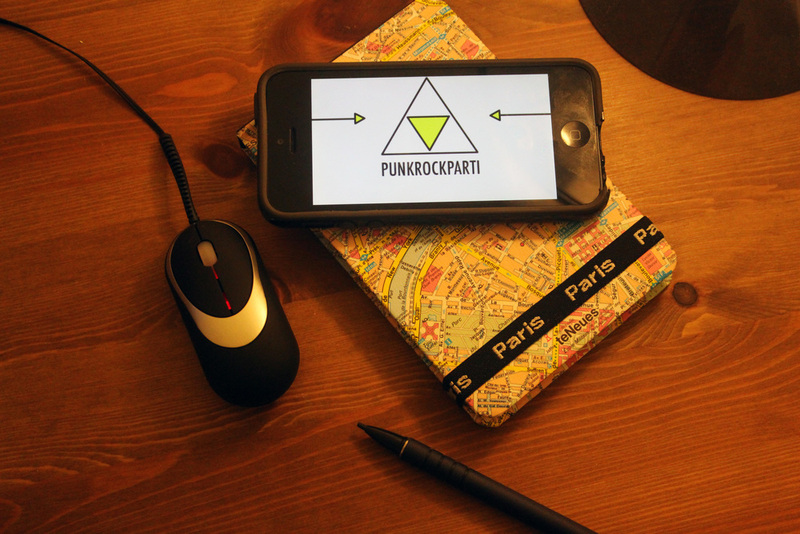 Now that I am back and have had some time to work, I want to share my new plans + goals for Punkrockparti for 2014! Goal #1:First of all, as you may have guessed from the updated logo above, Punkrockparti is getting a new look! This is something I had planned to do in the summer, but I started daydreaming about it on vacation and redesigned not only the logo, but the entire site, myself this past week before school started. I will also be switching blogging platforms [scary, I know!] so I will be sure to put an update out about that tomorrow so that I don't lose any of you lovely followers! My goal is to launch the new site on Monday and I am very very excited, so stay tuned! Goal #2: For a long time I have felt that the focus of this blog was mainly my personal style, with a bit of art + architecture thrown in. Since I have been traveling quite a bit and living in Copenhagen I feel that I have a pretty unique perspective on architecture and urban living, and I want to share more about that. I of course still plan to blog about my personal style, but I would love to see the posts become way more lifestyle based and talk about the neighborhood I am in or the event I am at! *So, if you are one of my fashion-loving-readers, please stick with me! There will be some new content but it will always be an important aspect of this blog. I also share a lot of my fashion finds on Instagram, @punkrockparti, so keep up with me there! Goal #3: Another new perspective I will gain is from interning with an urban renewal organization this semester, and that is a topic I have become very interested in. It is an exciting position that I plan to blog about after the launch, and I would like to continue sharing my discoveries on the blog. Goal #4: As an architecture student, I would like to continue sharing my knowledge + advice with you. One of my post successful posts was How to Stay Motivated as an Architecture Student, and I just recently launched my advice video about the same topic, which you can watch on Youtube. I find that there is a lack of advice or just general blogging about architecture school, and I would like to change that! Goal #5: Finally, some of my favorite posts in 2013 were the interviews I held with designers + also architects. With the launch of the new site, I have a couple of great interviews lined up with really fascinating people in the design world, that I hope you will love as well. Alright, still with me? I sure hope so! I know that it may sound like I may be making a lot of big changes, but I think this will only lead to better blog posts + more interesting content in 2014. I hope that you'll get excited for the new site to launch Monday and will see what kind of new posts will be coming your way in the new year. I thought that it was about time we started getting some curated playlists up in here. I mean, this blog is called Punkrockparti, right? Since this is the first playlist I'm sharing on the blog, I've kept it simple and just shared a selection of what I've been listening to lately, but in the future I'll be creating ones with themes and such. Until then, tune out with your favorite headphones, and enjoy!